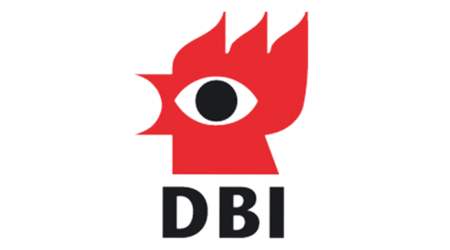 DBI is a GTS institute specialized in promoting fire safety technologies that strengthen competitiveness and growth of Danish companies in the maritime and building sectors. We are approved by the Danish Ministry of Science, Technology and Innovation as a Research Technology Organization (RTO). DBI is an independent, private, non-profit enterprise. DBI has joint activities with many national and international research institutes, bringing back the latest knowledge to foster the creation of new innovative products and processes that can be disseminated to Danish businesses. We offer a wide range of services within fire prevention, fire technology and security and aim to help our customers achieving the best safety solutions. Our main areas of expertise cover fire safety engineering, fire modelling, crisis management, testing of fire resistance of materials and buildings, courses, training of both installers and end-users, counseling, inspection, fire-analysis, forensics, classification activities as well as research activities. Our goal is to expand into nordics. We have already experimented in Norway and found out that competition is very low, so we feel there is a great potential for expansion in Nordic countries and beyond. As a part of research we expect you to conduct GAP analysis to determine the mismatch between our current offerings and what companies see the value in and ideally would like to purchase. We will provide an access to our customer data as well as direct contact to conduct interviews, experiment and repackage our offerings. Our current strategy and position in a market is also subject to analysis. At the moment we target insurance companies, large Danish companies like Maersk and Classification companies. We would like you to look into our competitors, their offerings, performance, customers portfolio and benchmark us accordingly. Based on competitors analysis carve unique selling proposition in a market for us and determine potential. Expected outcome of a project is a report and a presentation which would help us to navigate in a decision-making whether we should enter new markets and how we should proceed this strategically. Interest in and experience in business strategies, qualitative and quantitative methods, able to understand and analyse macro and micro measurements. We expect an extrovert, motivated person with an analytical mindset, capable to communicate a conducted analysis. A candidate might be working remotely or in an office of the DBI in Hvidovre, Fredericia or Aarhus.